Lucy's new mink stole never gets worn after she offers to help the Mertzes paint their apartment and reupholster their twenty-year old furniture. Ethel, it seems, is too ashamed to hold the next meeting of the Wednesday Afternoon Fine Arts League at her place because of the way it looks. Lucy's so-called painting party turns into a free-for-all when Fred turns on a fan to blow the paint fumes out the window at the same time Lucy is removing feathers from an overstuffed chair. 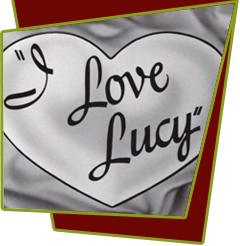 After ruining the Mertzes' furniture, Lucy gives them her living room set, including the two-piece sectional sofa. When Ethel admires Lucy's new one-piece sofa, she asks: "What happened to your mink stole?" Lucy: "You're sitting on it." Special Notes: Lucille made one of her very infrequent mistakes in this show when she said to Ricky, "Let's paint the furniture and reupholster the old furniture," instead of "Let's paint the apartment and reupholster the old furniture." It was Desi who managed to save the exchange of dialogue by ad-libbing. Bloopers: Lucy tears apart the chair in the Mertzes' living room and feathers fly all over. Later, as Lucy and Ethel sit on the couch in Lucy's apartment, an errant feather floats own to Lucy's left.